Last week, the TV series “American Horror Story: Coven” aired its season finale. The critically acclaimed series ended its third season with a mostly gratifying ending. The question that burns throughout the season, more fiery than Myrtle Snow’s hair or burning body, is: who will be the next Supreme? Coven drags this mystery out for as long as possible, giving each character plausible Supreme potential in one episode or another. In the season finale, “The Seven Wonders,” we finally learn which witch is the true Supreme. 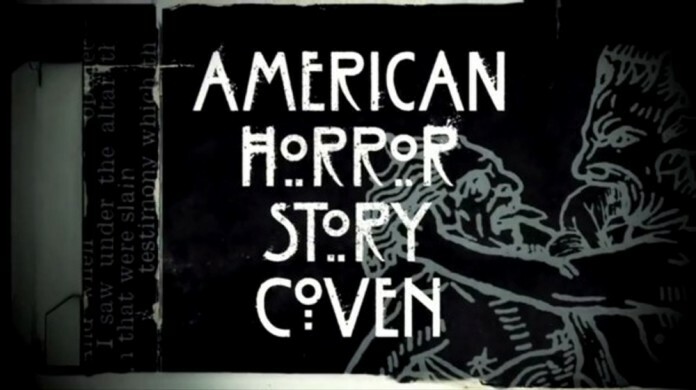 As is characteristic of all American Horror Story seasons, Coven ends with multiple plot twists in its finale. Coven focuses on the classic power struggle between youth and their predecessors, that between mothers and daughters. The coven’s reigning Supreme, or matriarch, is Fiona Goode. Throughout the season, Coven leads us to believe that the next Supreme must be one of the teenage girls at the Academy. After most of the young witches die out, Myrtle Snow realizes that Fiona’s daughter Cordelia has potential to be the next Supreme, throwing in one of the biggest plot twists of the season. What surprises–and annoys–me about this “twist” is that it took so long for anyone to think Cordelia could be the next Supreme. After all, her mother is the Supreme, so Cordelia has royal blood, as Myrtle points out. Cordelia’s mother holds her back and tells her how useless she is, but this criticism is mostly about Cordelia’s lack of good judgment about her husband Hank. In spite of Fiona’s criticism, Cordelia proves in many episodes that she is a powerful witch, capable of conjuring strong magic. Why didn’t anyone realize Cordelia’s potential before? The second, more shocking plot twist comes in after we assume the drama has calmed down for the episode. Cordelia finds Fiona downstairs, alive, after everyone thought that the Axeman had killed her. American Horror Story often uses the device of showing us a skewed view of reality that we accept as truth, like Violet Harmon’s death in Murder House or Sister Jude’s lusty daydreams in Asylum, and twists them to the audience’s surprise. We know this about the series, yet we fall for it every time. Although I expected Fiona to stab Cordelia in the back during their hug, the pair had a genuinely heartfelt conversation, free of Fiona’s typical malice. Fiona tells her daughter that she must die in order for Cordelia to live fully, giving this power struggle a very Harry Potter-Voldemort feel–except in this case, the witches actually care for each other in the end. With her mother’s blessing, Cordelia can move on and fulfill her potential as the new Supreme. Coven’s focus on female power makes it stand out from the previous two seasons of American Horror Story. Coven creates an empowering narrative in which women break from their oppression with the very powers that their misogynistic enemies try to kill them for. The season’s entire main cast, save for two men, is female. Even then, the two male cast members play secondary characters: a witch’s undead boyfriend and the butler. As disappointed as I was to see that the gorgeous Evan Peters had minimal lines this season compared to his leads in “Murder House” and “Asylum,” it was gratifying to see the female dominance in Coven’s story. Coven turns the objectification of men into an entertaining comedic element with Peters’ character Kyle. Coven literally turns Kyle into an object: Zoe and Madison use body parts from the corpses of different frat boys, sewing the most physically attractive ones together with Kyle’s head to create the “perfect boyfriend.” In the finale, the witches appropriate Kyle as the male version of the traditionally female magician’s assistant–Kyle is pure eye candy and performs menial tasks for the real people in power: the witches. During the Seven Wonders test, Zoe and Madison treat Kyle as an actual puppet, manipulating his body to kiss each girl against his will. The best part is when Cordelia finally flings Kyle’s body against the wall, saving him from the two witches. He’s only an object, anyway. As a whole, Coven has compelling themes that delve into deeper subject matters than previous seasons. It focuses on oppression of marginalized groups, particularly women, and furthermore Black women. As an avid watcher of many films and TV shows of the horror genre, I’m interested to see what the next season will bring and what realm of the genre this series will explore. Here’s hoping that American Horror Story continues to break the mold of the horror genre and creates more female characters with agency.